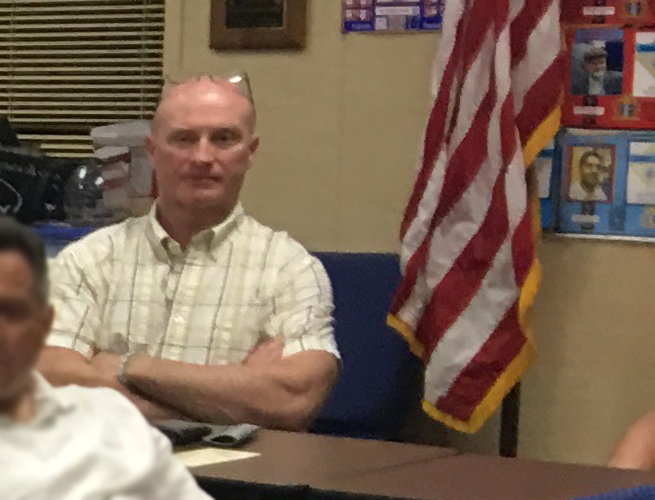 The Grand Knight opened the meeting with an “Our Father” and the Pledge of Allegiance. 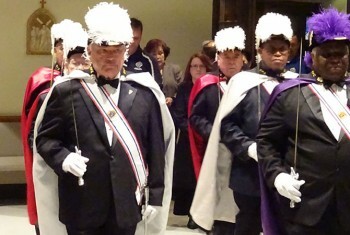 The Grand Knight led the Opening Ode. 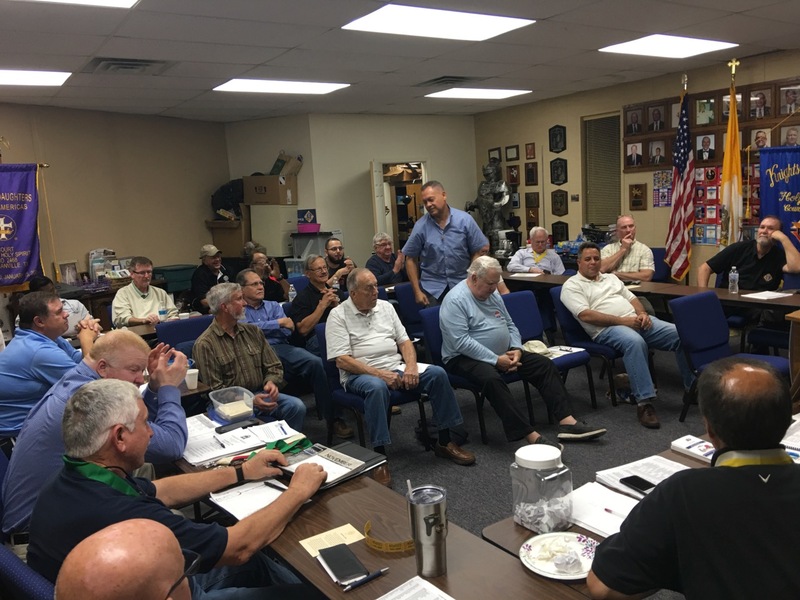 Introduction of new members: Applications for Transfer for Dan Schneider, Paul Ryan and Mark Gobert were read and approved by the members present. New member transferred, Dan Schneider. New member transferred, Paul Ryan. 74% of 2018 dues have been collected. Cook out at VA Hospital planned for Nov. 10th. Meet at church at 10:00. Eight projects had been completed in last month. Two additional projects are planned. Next Youth activity will be the January March for Life in Washington, D.C. Annual 40 Days for Life was completed the local abortion clinic is down to operations three days a week. They have someone fly in from New Mexico to preform some procedures. There were eight “saves” during the 40 Days. Hike for life was a success despite the rain. The goal should be reached as contributions are still coming in. The Dallas March for life will be in January. Buses will be provided. Planning our January Appreciation Dinner. 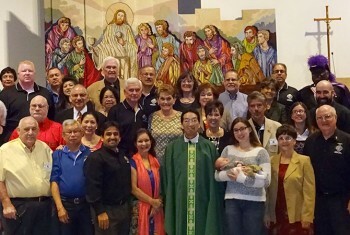 We have been asked to host the Dallas Diocese Chapter meeting on March 29th. The membership email to be broadcast to the parish has been presented to Ms. Cindy Meyer. She will send out at her next opportunity. A follow up recruitment event is being planned for prospective members. Members present were given a handout for review. Will be further discussed at next Officers & Directors Meeting. Membership recruitment is everyone’s duty. 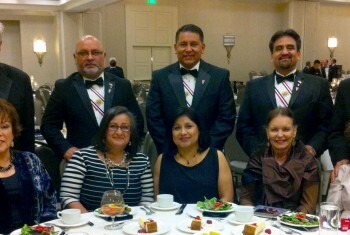 Two members of the Degree Team initiated six new knights for a new Council in Irving on Nov. 4Th. Will also participate on a second initiation on Nov. 11. Continue to contact members who are not active. Introduced the Disaster Preparedness program and announced educational pages will be added to our website. Spoke about inviting the Best Southwest Regional CERT Program to provide training to our council in the near future. The program prepares individuals/groups to respond to local or national catastrophes. Council could consider training for those who are interested. No update on future activities. Baseball may be over, will advise if otherwise. Flag football continues with four Sundays planned Nov. 11, Nov. 18, Dec. 2 and Dec. 9. Volunteers needed, call Jeff Miller. Duncanville Baseball has asked us to consider doing their concession stand. Lou planned to pass out safety tips for Holiday season. Handout is available for review on Council Web Site. Knight of the Month for November is Mike Moloughney. 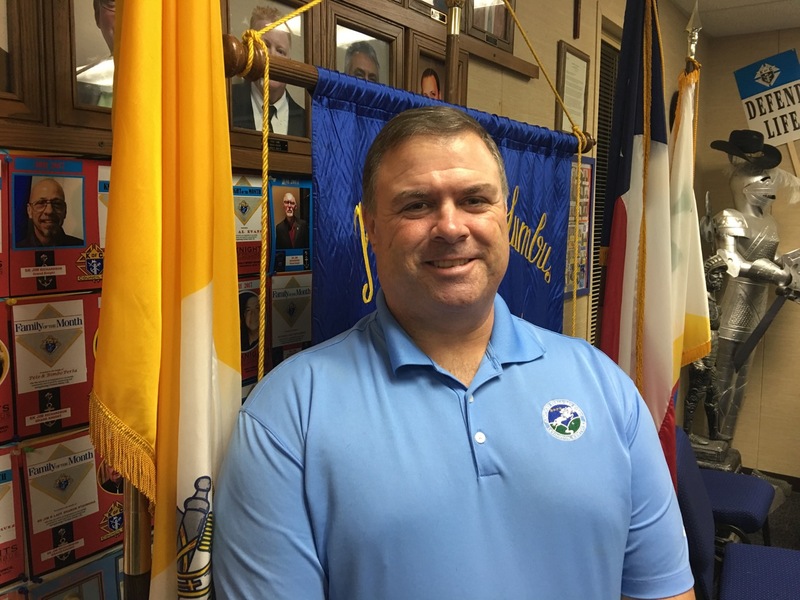 Family of the Month for November is John and Bonnie Espree. 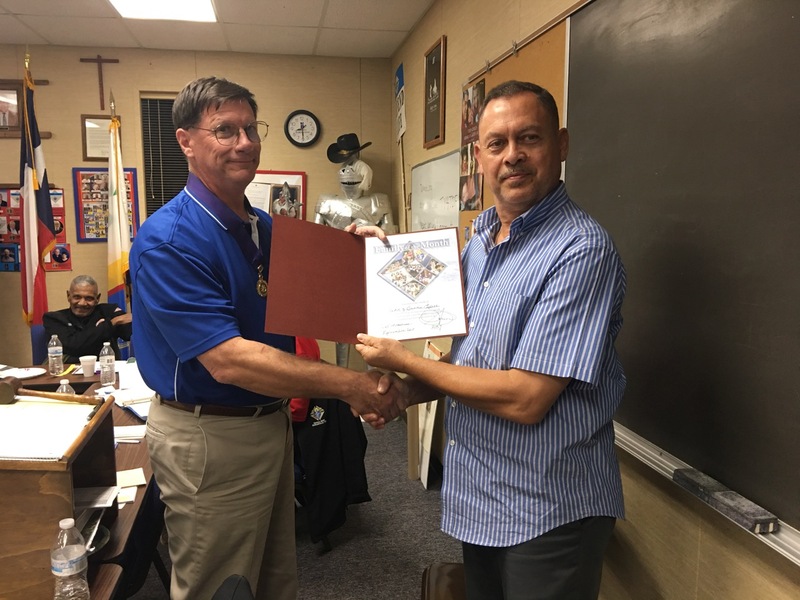 Mike Moloughney was named the Knight of the Month, Nov 2018. The Family of the Month award went to John and Bonnie Espree. 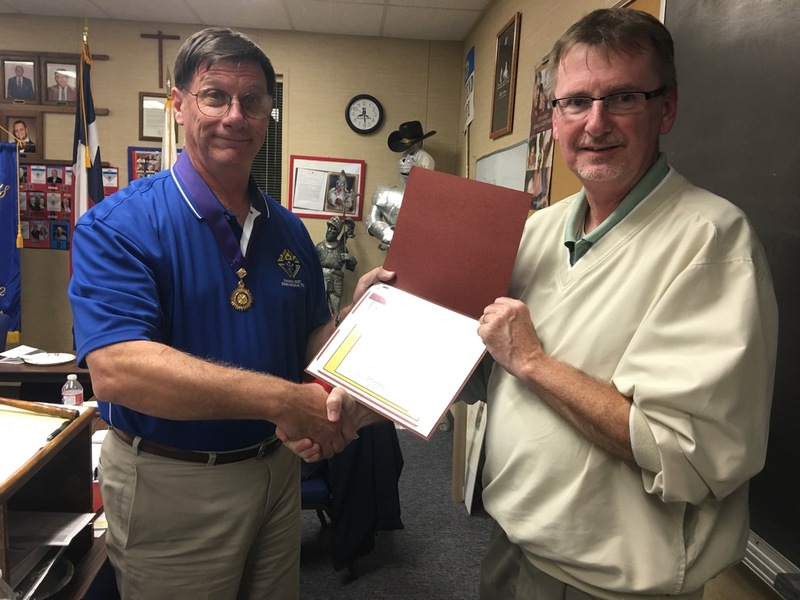 The Council elected to present a ciborium to Bishop Dunne Catholic School, Jim Russell presented the catalogue the 4th Degree uses to order their chalices and ciboria. Referred to the next Officers & Directors meeting. Jim Stavinoha moved that the Council reimburse St. Elizabeth’s School for the leftover food the school donated to the Knights. Food was prepared for their festival and could not be returned. Motion was seconded and approved. Jim Stavinoha moved that the Council donate to St. Joseph’s Residence Center to cover some of the costs they are not funded to cover. 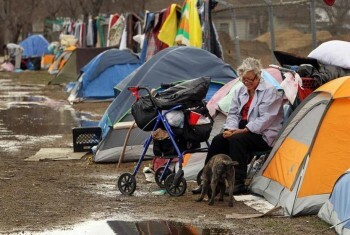 Several residents do not have family members to help with these costs. Andy Goza moved that the council donate funds to the 4th Degree Assembly for the up coming Clergy Dinner. Doug Maddox presented that we were invited to attend the Veterans Day activities at the National Cemetery. Doug also introduced the Wreaths Across America program. There have been some problems with the Diocese receiving the Insurance coverage papers from the insurance companies. The Safe Environment requirements have been met. Clergy Appreciation Dinner will take place Thursday, Nov. 8th. Still collecting flags for retirement ceremony next spring. The essay contest is planned for Bishop Dunne Catholic School. 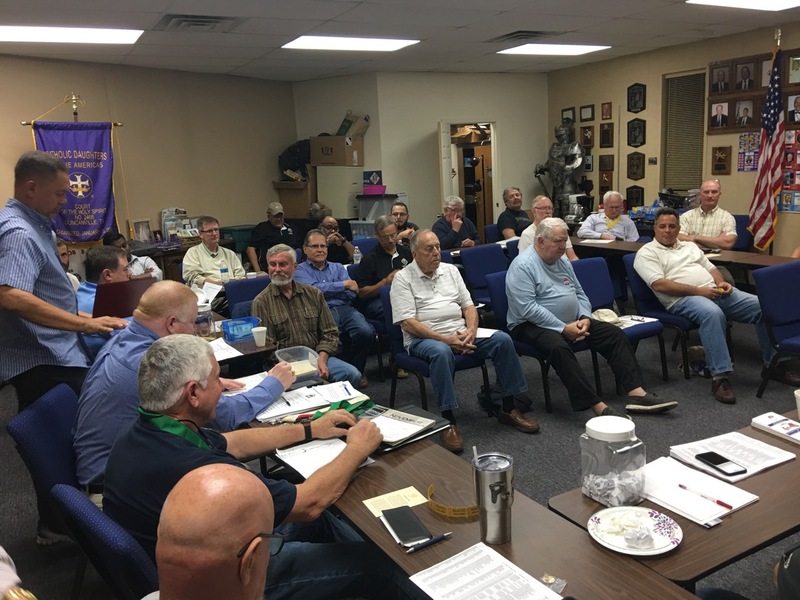 The Grand Knight had called for the Good of the Order and several brothers were called to mind as well as our Armed Forces and First Responders.